On Monday, the National Citizen Service (NCS) is due to come into school to tell students about the incredible scheme that is available to 15 to 17-year olds. 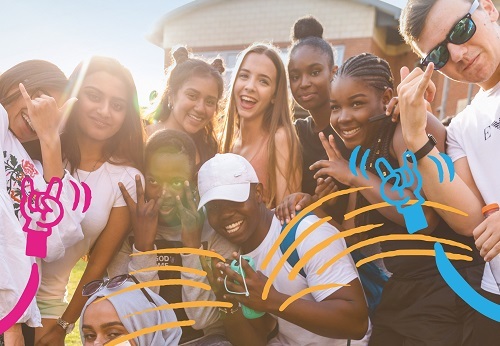 With twelve weeks to fill after exams, NCS offers the ideal solution to make it a summer to remember, through exciting new challenges and experiences. Nearly 500,000 young people have already taken part, and Bridgnorth Endowed School Year 11 students are invited to be among this year’s recruits. The programme is split into four phases, specifically designed to help teenagers to discover who they are and what they can do. The programme starts with five days at an outdoor pursuits centre, with the chance to try a variety of activities ranging from rock climbing and kayaking to problem solving and challenge courses. Meals and accommodation are provided plus there’s entertainment lined up for the evenings. The second week gives teenagers the opportunity to live at a university or college, staying in student accommodation, and taking part in sessions to build key life skills, such as first aid training and interview techniques. Using these new-found skills, participants will plan and run their own social action project to make a difference to the local area. Past examples have included sponsored sleep outs to raise awareness of homelessness, regeneration projects, and fundraising events. The final phase is about celebration, and a graduation ceremony gives everyone the chance to relive the highlights and recognise the effort that each young person has dedicated to the programme. The total cost is just £50 and NCS will be offering the students a discounted sign up price should they book their place within 10 days of the presentation (£40 instead of £50, but £25 at any time if on free school meals). So, to boost your UCAS statement or CV, meet incredible people, take away a host of new skills and more confidence, as well as having plenty of fun, why not consider NCS?